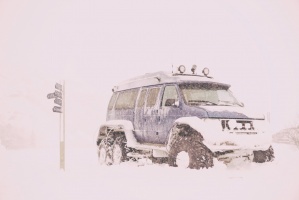 A winter self drive tour through West and South Iceland with an array of Icelandic landscapes in a prime Northern Lights season, with an introduction to Iceland’s culinary scene. Iceland’s dramatic southern coastline provides a stunning backdrop to discover this active volcanic zone. West Iceland highlights include unique lava formations, the inspiring Snaefellsjokull glacier-volcano, and historical sites from the Sagas. A number of stops and tasty excursions are offered as optional along the way to experience Iceland’s wholesome culinary culture. Once you have landed at Keflavik Airport in Iceland, please pick up your luggage and head through customs. Collect your rental car at the airport and proceed to your hotel in Reykjavik. The rest of the day is yours to rest and use at your own leisure. Overnight in Reykjavik. Enjoy Local in Focal, an hands-on late morning cooking lesson in English, where you learn about Iceland’s unique culinary culture and the New Nordic cuisine using fresh, Icelandic ingredients. The course is led by professional chefs from Salt Kitchen (this course must be pre-booked). Pop by Café Loki, a small and friendly family-run café located across from Hallgrimskirkja Church in the centre of Reykjavik. Its location offers a beautiful view across the city, the church and the Blafjoll Mountains. The restaurant’s cuisine is inspired by traditional Icelandic home recipes that have been passed on from one generation to the next. Café Loki offers a variety of combination platters for a great overview of the best food that Iceland has to offer. Fish Shops & Restaurants: Iceland is known for its fresh seafood and specialized seafood shops and restaurants. At the shops listed here, you can choose your own fish and sauces, and have it served as a meal for you. Our fish shop recommendations include Fylgifiskar, Gallery Fiskur, and Fiskbudin Hafberg. Saegreifinn restaurant, located in a former fisherman‘s hut in the Old Harbour, serves excellent lobster soup and fresh-grilled fish skewers in an informal setting. Head out of the city and drive to Gullfoss waterfall and Geysir hot spring, highlights of Iceland’s famed ‘Golden Circle’. Continue your trip, stopping at highlights such as Seljalandsfoss and Skogafoss waterfalls, and the infamous Eyjafjallajokull and surrounding area, where the volcanic eruption of 2010 took place. Overnight in Vik area. The small café at Fontana Geothermal Baths bakes traditional sweet rye bread using the earth’s natural geothermal heat. At 14:30 (2:30pm) every day, you can watch as the bread is removed from its cooking tins in the ground and taste it fresh with plenty of Icelandic butter (this experience must be pre-booked). If you don't have time to wait for the tour we still recommend you try a slice of the cafe‘s rye bread topped with smoked trout from the lake. Fridheimar is a charming horse farm and greenhouse facility near Fludir. Clean geothermal and hydroelectric energy provides resources to grow many types of organic fruits and vegetables. The farm is most famous for tasty tomatoes. An on-site restaurant specializes in delicious tomato-based dishes like tomato soup and green tomato and apple pie. The restaurant is open daily between 11:00 and 16:00 (11:00am – 4:00pm). In order to guarantee a table, please call ahead in advance for a reservation. Visit the majestic Skaftafell area, which is located between two glaciers and offers many hiking possibilities. Continue to the shimmering icebergs of Jokulsarlon Glacial Lagoon before returning to the charming village of Vik in the afternoon. 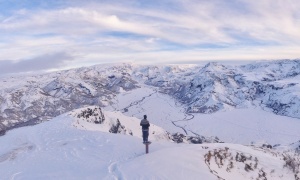 Overnight in Vik area. Thorbergur Cultural Centre & Café offers homemade cakes and specialties such as farm-raised arctic char (trout) from a nearby farm, as well as other traditional local food, free-range Icelandic lamb and traditional lamb meat soup with bread. Please call ahead to make sure they are open. 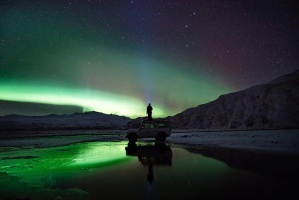 Drive to the UNESCO-listed Thingvellir National Park, site of the ancient Icelandic parliament and a jewel of nature. The park itself is situated in a stunning volcanic landscape of mountains and lava flowsm on the edge of Iceland's largest lake. Continue to Borgarfjordur fjord and visit the historic site of Reykholt, the remarkably beautiful Hraunfoss and Barnafoss waterfalls and Deildartunguhver, the most powerful hot spring in Europe. Overnight in Borgarnes area. The Settlement Centre in Borgarnes offers a fascinating insight into the history of the Icelandic settlement and the Saga era. After taking a look at the exhibits, continue your sensory journey through time at the Settlement Centre’s popular restaurant. The large windows, stripped wooden floors and modern furniture give it a wonderfully- stylish vibe. Choose from an assortment of traditional Icelandic dishes such as fish soup and grilled lamb. Don’t forget to leave room for a slice of homemade cake. The Ljomalind Country Market in Borgarnes is open six days a week from 13:00 – 18:00 (1:00pm – 6:00pm). This sustainable country market was created by women from the region. Discover home-made treats like ice cream, candy, cheese and jams, as well as handicrafts and herbal remedies. This is a nice stop for getting picnic lunch ingredients and tasty souvenirs for friends at home. It´s a good idea to call to reconfirm opening times at 437 1400. Explore the countless natural wonders of the Snaefellsnes peninsula, which also happens to be a national park. With mountains to one side and the sea to the other, visit the wind-tangled Arnarstapi sea cliffs and the rocky beach of Djupalonssandur before driving along the north coast through bustling fishing villages. Overnight in Borgarnes area. Anyone with an interest in Iceland’s culinary heritage should not miss the Bjarnarhofn Shark Museum, run by the country’s last shark farmer. You’ll learn about this unique delicacy — and, if you’re brave, have a taste. Please call ahead to make sure they are open. Drive to the Reykjanes peninsula and visit the moonlike lava fields around Lake Kleifarvatn and stop at the Krysuvik geothermal area with bubbling mud pools. Visit Grindavik fishing village, famous for its heritage of producing saltfish (bacalao). Saltfish is undeniably responsible for the prosperity of the Icelandic nation, particularly during the late 19th and early 20th century when the industry was at its peak. Relax at the famous Blue Lagoon with a refreshing dip in the pleasantly-warm geothermal waters, rich in silica and minerals that are great for the skin. Vitinn Seafood Restaurant in the small town of Sandgerdi offers a delicious crab feast, as well as other seafood options. Their speciality is rock crab; this is one of the few restaurants in Europe offering this treat fresh from the sea. **Please note that the package price is based on 6 x 24-hour rental days starting at the time of rental. 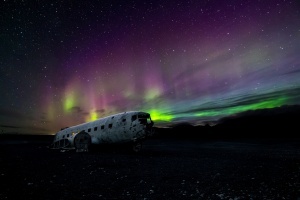 If your flight arrives early on day 1 and departs late on day 7, an additional supplement will be charged unless you choose to return the car in Reykjavik when the 6- day rental is up and use our FlyBus plus departure transfer. Throughout the tour you'll stay in quality hotels and guesthouses where all rooms have private facilities. Your final night will be in a 4 star hotel in Reykjavik. Our economy self-drive is $50 per person lower, staying in accommodation with private facilities without stretching your budget. Throughout your stay you'll be residing in a combination of standard hotels, farmhouses and guesthouses. Your final night will be in a 3 star hotel in Reykjavik. Upgrade your comfort car rental holiday to the best possible accommodation with premium amenities, either for the full duration of your stay or only selected nights. The upgrade can either be to a superior room in a comfort hotel, or a standard room in an upscale hotel. The cost for a superior upgrade is $105 per room per night (on prices in comfort category). This upgrade is only available upon request. Let us know during the booking process just how superior you want your holiday to be, and we'll customize your trip! Safety first! 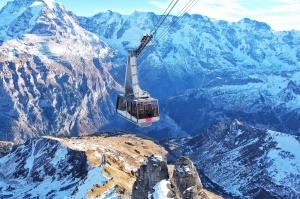 Free SIM card worth 2000 ISK to phone us in case of a travel hiccup or an emergency. It also gives you the opportunity to phone your friends and family at home and share your Iceland experience through social media. Enjoy a variety of optional culinary stops and excursions, including baking bread underground using geothermal heat, visiting a dairy farm and joining a tasting tour through Reykjavik. 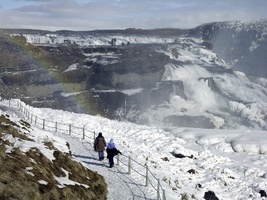 Discover the famous natural wonders of the Golden Circle route. Walk along the banks of the famous Jokulsarlon Glacial Lagoon, with its blue-tinted icebergs floating among curious seals. 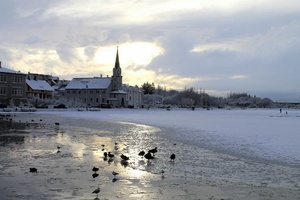 Explore Iceland’s literary heritage in the areas where the most dramatic events of the Sagas took place centuries ago. Relax in the warm, healing waters of the Blue Lagoon geothermal spa. Children 2-11 years old: EUR 54/ GBP 41/ USD 62/ CAD 83 per night. Add the total to the rate for 2 adults in car. Children's accommodation consists of an extra bed/mattress on the floor. Child Seat 0-13 kg approx. EUR 27 / GBP 22 / USD 33 / CAD 41 per rental. Child Booster 9-25 kg approx. EUR 11 / GBP 9 / USD 14 / CAD 17 per rental. Payable on spot.